At times, the fog of grief is thick with long, frightening fingers tightening around my throat choking the breath from me. Then prayers intercede, and the foggy mist thins a bit allowing a few rays of sun to sneak into my heart shedding God’s light on the garden of sweet memories planted there, bringing joy, peace, and comfort. At the age of ten, my daddy dashed from his small schoolroom and ran full speed across the large country field toward his house. The atmosphere beckoned for something to chase away the chill and provide a cozy feeling that was lacking. A fire in the fireplace would make the room too warm, but candlelight would be the perfect solution for that cool, rainy winter evening. 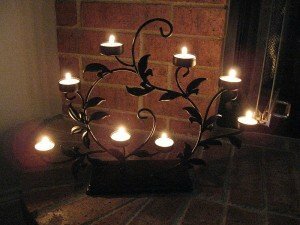 I located my favorite bronze tea-light holder, placed it on the hearth, and lit the eight small candles. I remember standing by the bed in the guest bedroom of my daughter’s house, folding clean clothes while reflecting on my baby grandson and the long surgery and struggles he had been through to correct his defective heart. Two-year-old Bryce was napping, and I had a bit of time alone. At this point, baby Jayden was still in the hospital but doing well, and we were looking forward to getting him home, his older brother meeting him for the first time, and hopefully only having the usual chaos of a newborn in the house. On Tuesday, August 21, 2012, my phone rang at 7:20 in the morning. From the ringtone, I knew it was my daughter, and adrenaline shot through me like a rocket. She would not be calling me at this time of day unless there was a problem. Acting on sheer instinct, I made a giant leap to grab the phone and answer it. The days following the birth of my grandson, Jayden, are a blur of emotional roller-coasters. We were dealing with a baby in the Cardiovascular Intensive Care Unit (CVICU) at Texas Children’s Hospital, his mother at St. Luke’s Hospital recuperating from his birth, and a two-year-old grandson who was confused and missing his parents, all while we waited for the news of when baby Jayden would have open-heart surgery to repair his heart condition called Transposition of the Great Arteries. Standing by the kitchen table, I paused for a moment to observe my pregnant daughter while she perched on the edge of the big brown chair in her living room reading the Bible. Rubbing her growing abdomen with her left hand while holding the Bible in her right one, she seemed to be unconsciously attempting to transfer strength and love to the precious little boy she was carrying. This week we will be running a continuum of stories about my baby grandson, Jayden, who was born in November five years ago. I have divided his journey into three parts and added a personal reflection about my own struggle which pertains to his journey. The four articles will be posted consecutively for the next four days. As tears make a steady stream down my cheeks, I feel compelled to mention that this has been the most difficult piece of work I have ever written. 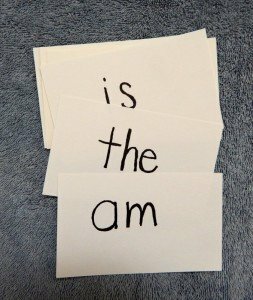 Sitting at the kitchen table in my son’s house, I watched with amusement and anticipation as our oldest grandchild, Luke, read the words on the note cards that I flashed in front of him. A kindergartner at the time, his homework was to learn the basic words that his teacher referred to as “heart words.” As a retired elementary reading teacher, my job had been to help struggling readers, and this was a moment of pure joy with my grandson. 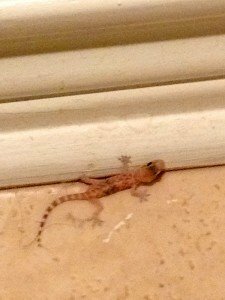 A gecko squirmed out from under my sofa late one night while I was reading. He darted back and forth into the middle of the living room, then back underneath the sofa.